Showing results for tags 'marantz'. Hello, with Denon/Marantz AVR's it is possible to change the speaker impedance setting to 8, 6 or 4 Ohm. Does someone know what this actually changes inside the amplifier ? Thanks for your time. I recently swapped out the Onkyo HT receiver with a pristine Marantz 8801 pre pro that I picked up for a great price and wanted to give some impressions, as I, like others, rely a lot on reading up on different brands and equipment when purchasing something that I haven't owned previously. To put this into perspective a bit, this is by no means some technical measurement with regards to one versus another, nor is it implying that because I happen to like something better, that you will. I've run through quite a few setups over the years, 4 or 5 different Onkyo HT receivers, Outlaw pre pro, Revox and Saba equipment (way back in the beginning 30+ years ago) and currently for pure 2 channel listening, I really still like my big old Sansui 8080, unfortunately, I only have room for so much gear in my main listening area so it's give and take between HT and 2.1 audio. I played with an inexpensive used Marantz HT receiver a couple years ago that I had picked up for the shop, just because it had a usb port on it and I could use it instead of having a cd player in that environment, but it sounded so smooth to my ears, that I knew I would eventually get a better piece to incorporate into my main system, and I'm glad that I did. I hooked up the 8801 yesterday, still powering everything with QSC on the 7's and XPA 5 on the other channels, but the sound coming out of the Marantz is noticeably different than any Onkyo I've owned over the last 30 years, the outlaw, and various other pieces that have lived a short life in any of my systems. It's always about what I hear and what I like versus what I can measure and prove out, which is really pointless, if in the end, it doesn't sound better to you. I listened to a lot of material that would be considered my "go to music" that I'm extremely familiar with and while I hear all of the detail, and then some, compared to the Onkyo I pulled out, the Marantz, at the same time, had a much smoother and more appealing sound, much like my Sansui, or any of the Saba gear that I ran for years. The imagining was completely different and I was fooled into believing that the processor was in the wrong mode and that my center was in the loop and pushing out a lot of db's, but when I walked up towards the unit, I was shocked to find out that it was in the right "stereo" mode and the center wasn't playing anything at all, but the sound stage was all right in front of me without there being such a defined left and right speaker (except where that was intentionally part of the recording), I was very pleased to say the least. The networking and ability to utilize DLNA with my PC has been something that I've been looking forward to for a while, and even though I had a workaround with my last unit, it was a PITA to operate but now it's finally all at my fingertips. Setup and the 200 page manual were all very straight forward (although I got a little frustrated wondering why I wasn't getting sound from some of the channels) except for me forgetting to switch the inputs on the XPA from unbalanced to balanced. Just one persons opinion and I'm sure that a few years down the road, or when I run across a deal that I can't pass up on what was once, a $10,000 pre/pro, or amp, I'll try to find another unicorn (that's all this is), but for now, given patience, some wisdom as to how and when I want to spend money on "upgrades", I'm at another point where I'm really satisfied with my main rig, from T.V., pre/pro, amps and my aging RF's, I'll add another couple of channels when the right set comes along, but unless someone comes along wanting to blow out of their KI-396's, I'm really not hunting any more gear for a while. Recap Marantz 1060 - techs in SE Florida? amplifier Are Pioneer Amplifiers a good match with Klipsch speakers? Receiver and cable Advise for rp-280f! Hello everyone, I am somewhat new to the home theater world so please pardon some of my ignorance. During recent sale at adorama, I bought a pair of RP-280f (mains), RP-450c (center). I also bought RP-160m as part of that bundle but they are too big for rear speakers so I am planning to sell those and get the rp series surround speakers at a later date (maybe next year). i (will be) using the speakers 60-70% of the time for music. Considering that, what receiver do you recommend for my speakers (Rp-280f, RP-450c). My living room is probably around 20 ft wide, 16 ft long (bot no wall at the back so if I add the kitchen, it is probably 26 ft long). I am hoping to spend around $900 for receiver. Let me know what you guys recommend. I looked at Denon AVR-X3300W which seemed like a good option from my limited knowledge. I don't plan to blow up the speakers so i thought I don't need to match the 150W of rp-280f. Or will I damage with a receiver that has 100-125W (at 8 ohms) per channel? Also I have been told that cables are a big deal so I need to get good quality cables. Do you have any recommendation for those (including any websites)? Dumb question but do I also need banana plugs? I really appreciate y'all taking time and replying to my questions. Thanks!!!! I am not the original owner. I purchased this receiver in October 2016. I've used it for the last few months connected to a pair of cornwall II's. Awesome receiver that will drive pretty much anything. Only reason I am selling is due to its size. It does not fit where the receiver should with the media system I use. Asking $350.00 ($250 was just spent on Service) will provide receipt with purchase. I live in Shelby Township, MI 48316. I'd be willing to ship if you are willing to pay for shipping fees. Any questions, let me know. The right channel went out on my McIntosh MA6200: luckily it is still under McIntosh Audio's 2 year warranty and I'll be sending it back sometime this week. I have three spare receivers lying around the apartment but they are all out of service for one reason or another. And so I went to Craigslist: within 24 hours and $280 I was the proud owner of a just-serviced Marantz 2220. The first thing I noticed is how much oomph this little fellow has. It's at least as loud as my MA6200, which is conservatively rated at 75 watts: both get to painful levels before the volume dial reaches 9 o'clock. It also has a warm tubelike sound that reminds me very much of McIntosh. 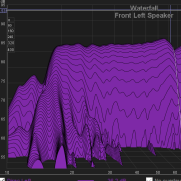 It's not as velvety black silent on quiet passages and the MA6200 has more separation and a bit better soundstage. But for around 1/6th the price the 2220 gives the McIntosh a decent run for its money. I see now Marantz units command a premium for more than their quintessentially 70s styling. If you're looking for something to pair with your Klipsches, I'd definitely recommend giving vintage Marantz equipment a look. Hi all there! Im new to the Klipsch world and I kicked off with a Marantz SR7010 + Klipsch RP-280F to start with my home theater build for music and movies purposes. In the near future im planing to add the 450C center channel and a RP-115SW sub.... at the end depending on size of my future room size some RP-150 or RP260F as rear ones, but at the moment I live with only my floorstanding speakers. So far I'm inlove with my initial setup for music BUT not that much regarding movies. Im lacking bass punch at a decent volumen level, to put everyone in my scenario: * Marantz amp goes from 0 to 98 in volumen level, so I watch them in 65. * I use my 55 inch 4k tv to reproduce my movies with audio DTS support, Netflix or PC with HDMI. Connections: * Single wire Eagel 18 gauge cable (keeping the golden metal plate at the back of the speakers that RP-280F brings with them from LF to HF) to the respective front left/right speakers connections in the Marantz amp. * Marantz to TV through HDMI (ARC) monitor connector. I'm lacking that shock that I was expecting of an 8 inch cooper woofers that the speakers got,so my concern is, Do I have something wrong in the way I reproduce movies or how I hooked everything up? I know that when the RP-115SW arrives im going to be in heaven in terms of movie experience or at least thats what I expect. Thanks for reading and any tips advices are welcome! I recently got a set of Klipsch Heresy II from a fellow forum member avguytx and I got to set them up in my office today. I am using a Google Chromecast to send music from my computer to the amp, which is a Marantz SR-18EX I had in storage, and I love how these sound. There is plenty of bass for me on the songs that need it and they do not feel like they are lacking at all. I am waiting for me Rega P3 to get back from the shop so I can spin some Sabbath but that might be awhile. The first song I listened to was "While My Guitar Gently Weeps" and the speakers really sang. I ordered the titanium tweeters from Crites as well as the risers so maybe I can put them on later this week. Thanks again goes out to avguytx for the awesome packaging job on the speakers and also for selling them. I love them and could not be happier. I also recently acquired a Sanusi 4000 receiver so I might see if that changes how these sound or not. Sorry for the crappy picture but I just had my Windows phone, what a piece of crap. I am still waiting on some of my furniture to show up so I can properly get everything set up. I am looking for some input on my next HT receiver purchase. My Integra DTR 6.8 HDMI board just bit the dust. Since the phono stage on the Integra was not pleasing to my ears I used my Pioneer SA 8100 as an amplifier to power my Forte’s and used the Integra as a Pre / Pro. I would like the replace the Integra with either a modern receiver that is musical first and home theater second or separates and move the pioneer to another room. I have been looking at the Cambridge Azur series (has anyone listened to one?). Any suggestions based on personal experience will be greatly appreciated? My max budget is $1500. Hi all, Due to recent medical bills that have drained us financially i need to sell my Marantz 2238 receiver. I've bought it a while back and used it only occasionally to listen to my music collection. It's in great condition - clean, lights work, sounds good. Wood case has a few small imperfections (rear corner had chipped veneer and was repaired). I would really like to sell it locally if at all possible (San Diego, California) as shipping this guy is just asking for trouble. I may still ship, but you will need to cover packaging/shipping costs - fedex, insured for full value and understand the danger of shipping. Should be around $50 or so in my estimate. You are welcome to come to my place and check it out or listen while hooked up to RF-7s. By the way - looks great next to Cherry RF7s. Would like to get $350 for it. The Carver has been a bit unreliable on the left channel, so I've been casually looking to take it out of service and replace it with something that had some better switching capability and came across this Marantz 6003 with a bad HDMI board (don't care about that at all for the shop), so I picked it up for $71.00 and now I'm not even going to fix the Carver, I'll just sell it for parts. What a nice sounding receiver. It's hooked up to a pair of RB 5's and I'm going to cart the SPUD out there, just to play, but I have to say, I'm tempted to bring it inside and do an A/B with the Onkyo because it has a much more inviting sound (at least that's my perception in the shop) This thing sounds like my Sansui 8080DB, and that has been my favorite for a few years. This is the first Marantz I've owned and definitely requires some head to head listening. Just nice to have the switching, which will result in moving a lot of my speakers back to the shop to be able to A/B many combinations more easily. Hope some of you Marantz guys chime in and give me some of your thoughts.